SNCF 231.K.8 & 141.R.420, Clermont Ferrand, Tues 3 May 2005 1 - 0721. The fairly rare sight of two mainline steam locos side by side in France. 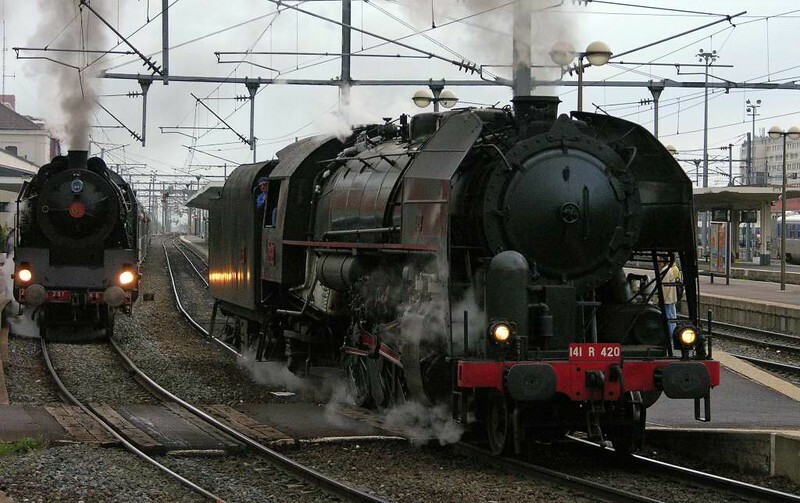 They were about to double head the Clermont - Marseilles leg of the Mediterranean Steam Express as far as Langogne.